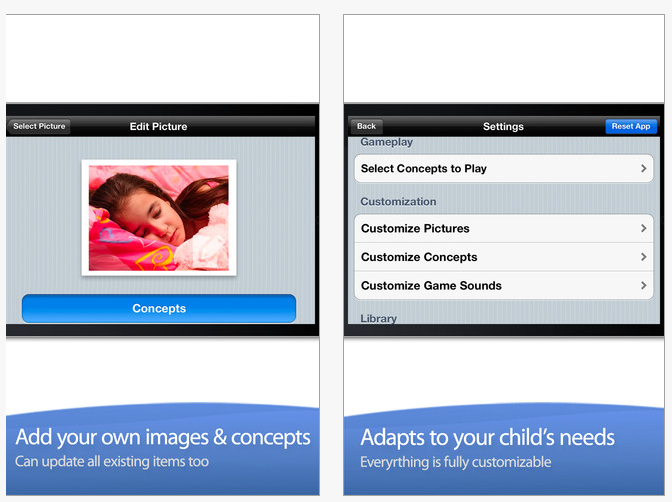 Are you using the customizeable Alligator and Grasshopper Apps developed by Innovative Mobile Apps? They are among my favorites for students learning basic vocabulary and emergent literacy and numeracy skills. 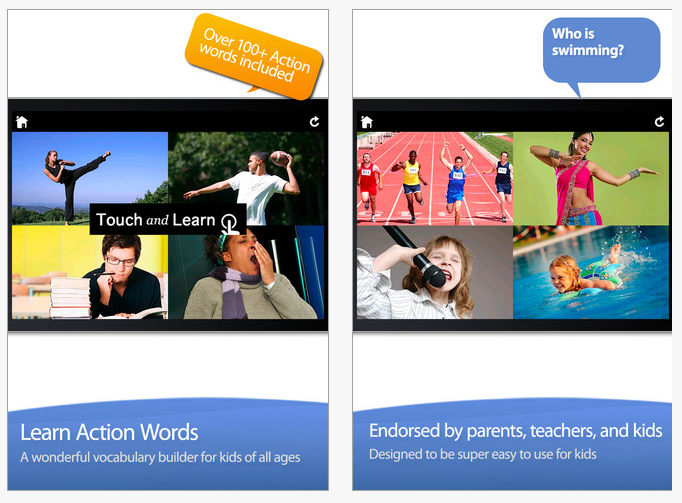 They have just announce their new Action Words Touch and Learn app compatible with iPad and iPhone for free. Action Words provides clean pictures of verbs or actions of people within a choice making activity for students. One of the (many) strengths of the Alligator and Grasshopper apps are its clean photos depicting individuals of all ages, making the content or intended subject clear but allowing generalization of those concepts withing context of the images. Check it out. Will you add this to your OT iTool Kit? This entry was posted in App Reviews, Apps for OT's, Apps for Special Needs, Autism, Early Childhood, iPad, iPhone, Occupational Therapy, Special education, Special Needs and tagged App Review, Autism, iPad, iPhone, occupational therapy, special education, special needs students. Bookmark the permalink.